The NBA is back in action today as the Toronto Raptors will clash with the Minnesota Timberwolves. The Raptors are heading into this game after an overtime win against Miami with a score of 117-109. While on the other side, the Timberwolves lost in the game against the Thunder with a score of 117-109. The Raptors are one of the better teams in the league this season. This team suffered an unexpected defeat in the game against the Hornets. However, the Raptors showed their class as the bounced back in a hard-fought win against Miami. Also, this Toronto team is on the 2nd spot in the Eastern Conference which shows their consistency this season. Led by the in-form Kahwi Leonard, this team will play an important role in the postseason. On the offensive side of the game, the Raptors score an average of 114.4 points per game. Therefore, this record is enough for the 7th spot in the league in scoring. Also, they have an average of 45.1 boards per game combined with 25.4 dimes per night. On the defensive side of the game, the Raptors concede an average of 108.5 points per game. Therefore, this record is enough for the 9th spot in the league in scoring defence. The Timberwolves had two solid wins in a row. However, they came short in the game against the Thunder as they lost in that game. Minnesota is an average team this season. Moreover, their current position shows exactly this as they are placed on the 11th spot in the Western Conference. Therefore, they are eliminated from the playoffs contention this season. 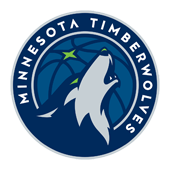 On the offensive side of the game, the Timberwolves score an average of 112.9 points per game. Therefore this record is enough for the 13th spot in the league in scoring. Also, they have an average of 45 boards per game combined with 24.6 dimes per night. On the defensive side of the game, the Timberwolves are conceding an average of 114.1 points per game. Therefore, this record is enough for the 24th spot in the league in scoring. Minnesota is out of contention for the playoffs this season. They came short in the last game and they will surely aim to improve in this one. However, the Raptors are the better team and I expect another solid performance by them in this game. Also, their form is really good at the moment, so I go for the Raptors in this one. 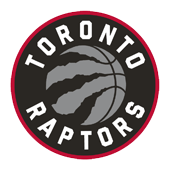 My Free Pick & Prediction for Minnesota Timberwolves vs. Toronto Raptors on 04/09/2019: take the Toronto Raptors -300 (moneyline).